Take a step back in time and enter The Golden Age. An extraordinary period of time in which global trade, arts and science rapidly emerged and advanced. See how Rembrandt and contemporary artists like Frans Hals and Vermeer lived at the time. Admire their beautiful work among VOC shipping equipment, paintings, silverware, porcelain and other artefacts in several museums. Or stroll along the stately 17th century warehouses, picturesque corridors and monumental city gardens. 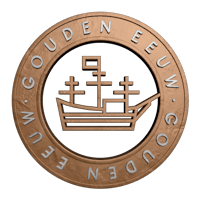 ‌Discover The Golden Age Triangle of Hoorn, Enkhuizen and Medemblik! 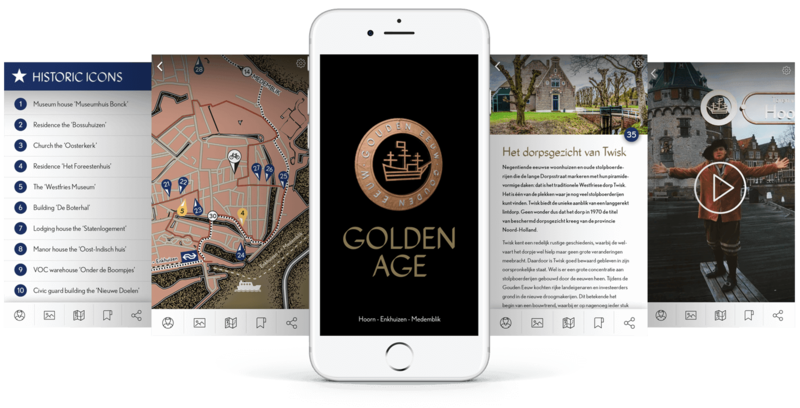 Experience The Golden Age Tour on your smartphone or tablet and bring history back to life. Download the app and open up doors that normally stay closed. To see where you are or which Golden Age Icon you’re visiting next, there also is a map available. Discover the 35 icons by taking one of the astonishing routes by bike or by foot. 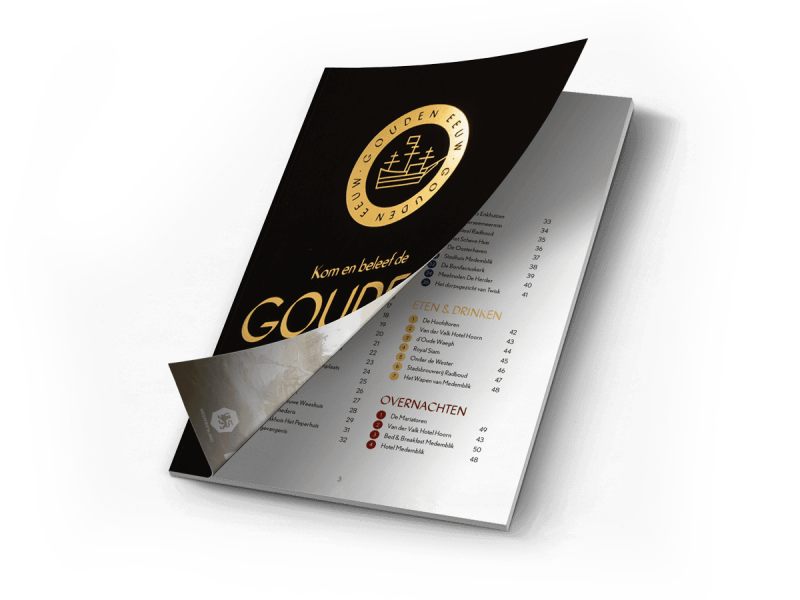 This full-colour A5 booklet tells you everything there is to know about the rich history of the Golden Age Icons of Westfriesland. Would you like to relive The Golden Age to the fullest? Take a trip through time and experience The Golden Age Tour. By bike, by foot or even by boat: this tour will take you to the most beautiful places and shows you all the hidden gems and icons of The Golden Triangle. 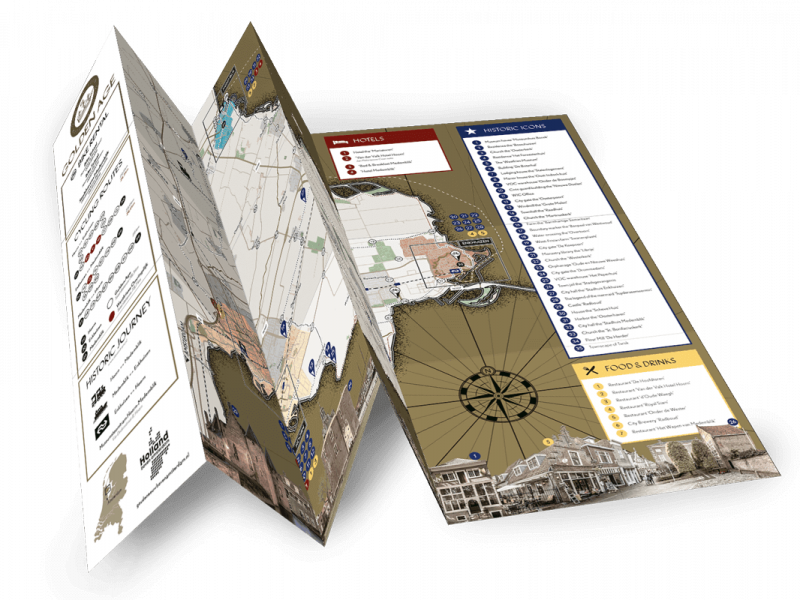 ‌A booklet and map are available to guide you on this tour. Early June 2019 this experience becomes even more realistic. Download the Augmented Reality app to bring The Golden Age and its rich past back to life on your smartphone or tablet. ‌Visit the Local Tourist Office of Hoorn, Enkhuizen or Medemblik for more information. 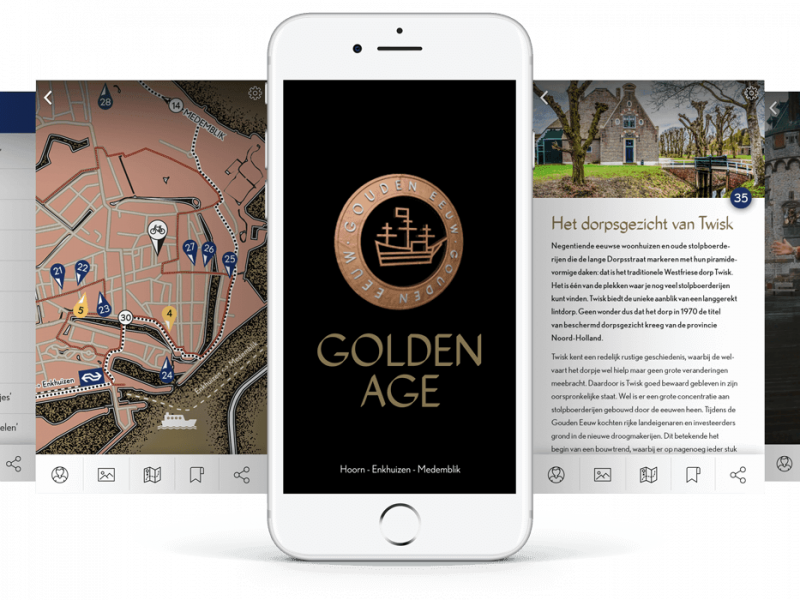 Experience The Golden Age Tour on your smartphone or tablet and bring history back to life. Download the app and open up doors that normally stay closed. This free app, developed with Augmented Reality, enables you to activate your own virtual tour guide. This historical character of The Golden Age tells you all there is to know about the icon you are visiting. And there’s more! The app gives you a sneak peak behind facades, tells vivid stories about famous persons and even makes it possible to look right through anything that is in front or beneath you for a unique Augmented Reality experience. ‌The Golden Age Tour App will soon be available to download. Leave your e-mailaddress below if you like to receive a notification when the app is ready in the App Store! You'll receive a notification e-mail when the app is available in the App Store. 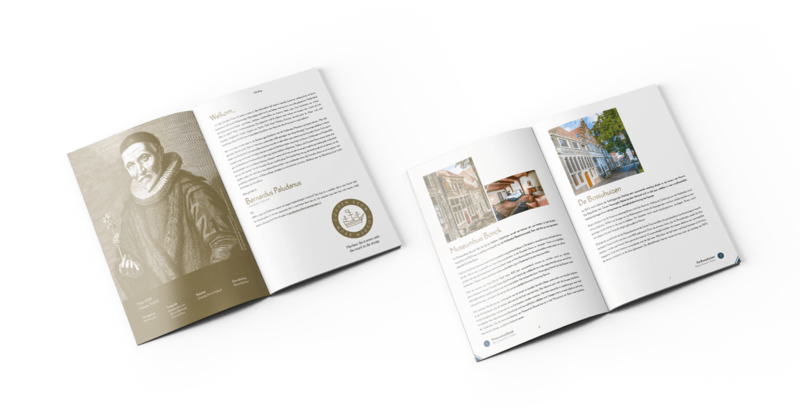 This full-colour A5 booklet tells you everything there is to know about the rich history of the 35 Golden Age icons of Hoorn, Enkhuizen and Medemblik. Besides beautiful pictures the booklet offers suggestions where to eat, drink and sleep in historical places. The historical icons are easy to recognize by The Golden Age Tour Coin on the pavement. 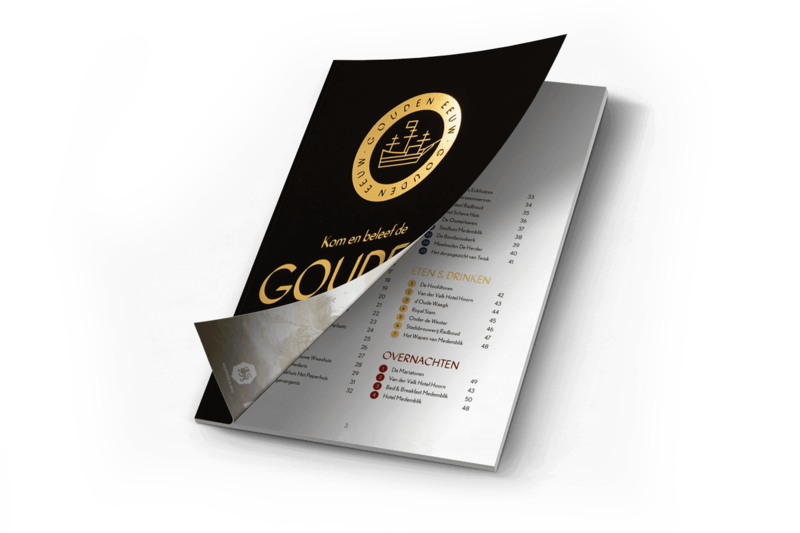 ‌The booklet is available in three languages: English, Dutch and German.